Proposals being considered by ICANN would limit the use of WHOIS privacy protection services that domain name owners frequently use to keep their domain registrations under the radar. Can’t find a good .com domain for your company? Thanks to new top-level domains, there is more opportunity than ever to find a catchy, highly-brandable domain name that’s still available for registration. But is using a new top-level domain instead of a .com domain a good idea? Nominet’s proposals to add a .uk domain have not been popular, to put it mildly. However, it has decided to introduce the change anyway, albeit with some minor concessions. Critics point out that the new domains aren’t necessary, devalue the existing .co.uk domains, and impose unwanted costs on online businesses. Nominet’s recent proposals for a .uk extension for domain names have not been met with universal approval. There is much concern that the new domains will end up costing online businesses a lot of money with no obvious benefits to compensate. Is Nominet’s .uk proposal a tax on the digital economy? Nominet, the UK’s (non-profit) governing body for domain names, announced proposals last month for a .uk extension for domain names. Nominet claims this will ‘support the economic growth of the UK internet’, but this view isn’t shared by many digital professionals, who see it as more of a shakedown which could cost UK business £50m per year. As 93% of all UK domain names use .co.uk, this has significant implications for the UK’s digital economy. For better or worse, new gTLDs are coming. The only thing standing between the new gTLDs and the world is ICANN, the organization that runs the internet’s domain name system. With applications for new gTLDs in, it must now select which gTLDs will find their way onto the internet and which companies will run them. Google may have produced a few chuckles with its application to run a .lol gTLD, but some companies believe there’s serious cash to be made in the so-called .brand domains that ICANN is going to be approving. One such company, Donuts, is so confident that the new gTLDs are going to be a hit that it’s reportedly raised a $100m Series A round of funding to operate a portfolio of them. 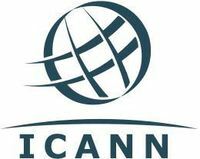 On March 29, ICANN, the organization responsible for managing the internet’s domain name system, ended the registration period for those interested in applying for one or more gTLDs. During the internet boom of the late 1990s, companies flush with investor cash regularly spent big bucks acquiring generic .com domain names. The rise of the .com domain name culminated in the sale of Business.com for $7.5m in 1999. After the .com bust, the pace of multi-million dollar domain name sales slowed, although more than a few domains have changed hands for seven figures in the past decade.